Wedding photography can be a complex process. You may want to integrate plenty of natural photographs taken in grassy meadows or under tree canopies, but there may also be a place for man-made structural elements. To create photos that have a base, it can be nice to utilize a stone bridge or a parabola structure. Included here are a few ways you can integrate beautiful structural elements into your wedding photos. 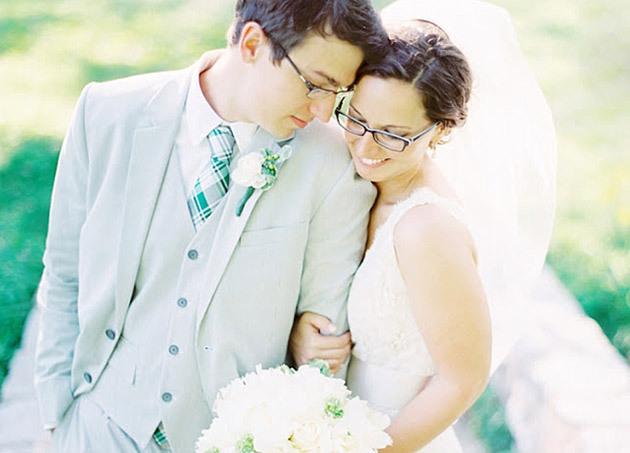 For many couples, an outdoor wedding seems to be the ideal setting. However, simply standing in an open field may seem a little too informal and exposed for great photos. A way to make your wedding seem more ceremonial, while grounding your photos, is by building a parabola archway to be married under. If you have a friend or relative who dabbles in woodworking, creating this arch should be a fairly simple process. The arch may be as complex or basic as you desire, and you may choose to train potted vines to grow over it. Customarily, the arch will be painted white, and should pair well with a green, outdoor wedding and the bride’s gown. Additionally, utilizing older man-made structures may be just the key to making your wedding photos unique. If you choose to be married in a park with a stone bridge, or near a pond with a brick walkway, photos by these grounding elements will pair beautifully with the delicate dress of the bride. Bridges can also be a great way to get shots of the wedding party, by putting the bridal party on top of the bridge and the groomsmen below, or vice versa. This will break up the sea of faces in a way that is unique and visually interesting. Another way to integrate structure into your wedding photos is in the element of a gazebo. Again, this is a structural component that can be easily constructed by a handy friend or family member. Gazebos also may be present if you are performing the wedding in a backyard. Wedding shots inside a gazebo can take on many forms. For brides, it may be a spot to do photos that capture the “waiting” element present before the wedding. Additionally, for couples choosing to do a “first look” moment before the ceremony, having each one come around the side of the gazebo can be a momentous photo opportunity. For wedding ceremonies and parties that go on into the night, it is often ideal to rent a large party tent and line the inside with twinkling lights. Photos under the light can capture dancing, eating and the general celebration present following the wedding. These photos will demonstrate an experience entirely different from the sunshine in the outdoor wedding ceremony.